Humanity in Business is proud to present to you the Humanity in Marketing & Media Summit showcasing the new paradigm of leadership that is striving to create truly authentic, customer centric brands. A new breed of leaders in the marketing and media industry is beginning to emerge. This leader is driven by a need to create authentic relationships with customers and in doing so, is creating game changing strategies around how products & services are taken to market. These leaders are passionate about creating brands that truly care about the consumer and are striving to make a link between their personal values, organisational values and the values of the customer. Authentic leaders are interesting in creating a more meaningful brand that stands for purpose beyond just profit. These leaders are driven by the idea of servant leadership and consider people, planet as well as profit at the heart of everything they do. You can hear the podcasts on Soundcloud or on iTunes. Videos from TrinityP3 consultants on issues facing marketers, their agencies and procurement. 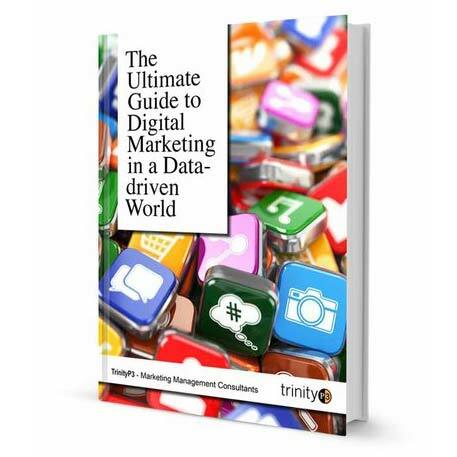 Testimonials from marketers, marketing procurement and agency leaders on the processes and results TrinityP3 delivers. Videos of speeches and talks TrinityP3 consultants have delivered on a wide range of topics. If you are a marketer, a procurement professional or providing marketing services, there are topics here of interest. And if not, lets us know what topics you would like us to cover. To watch more Marketing Management videos click here.